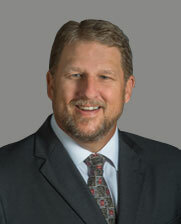 Bryan’s career spans over thirty five years in pharmaceuticals, biotechnology and medical device. He has held leadership positions in Operations, Manufacturing, Quality, R&D, IT, Operational Excellence, Strategy Management, Risk Management, Supply Chain, Business Development and Consulting. In his role as Senior Director for Operations at Jubilant Cadista, he is responsible for leadership of the Cadista site operations. Prior to joining Jubilant in 2017, he held site, regional and global leadership positions with Mylan, Boehringer Ingelheim, GlaxoSmithKline, W.L. Gore, Johnson & Johnson and Lancaster Labs. He is a Lean Six Sigma Master Black Belt and former life sciences consultant who developed and delivered many performance transformation and compliance remediation initiatives across the pharmaceutical industry. Bryan holds a Bachelor’s of Science degree in Bioanalytical Chemistry from Juniata College.